Custom cut to fit your Vehicle's foot-well perfectly. Ultra heavy, very high density Ultron decadence type 6 nylon, velvet cut pile carpet. Incredibly luxurious, deep feel, Available for all rows. Edges are bound and stitched with beautiful color matching thread and binding. 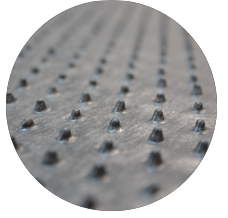 Mats backed with non-slip rubber spikes to prevent slipping. 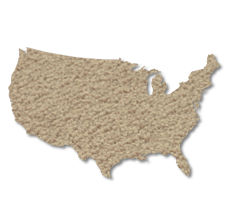 Scotchgard™ treated for stain and soil resistance. 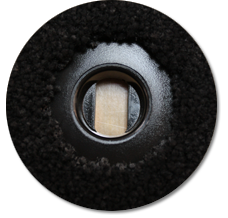 Integrated factory grommets for attachment where required. Available in the the beautiful color options. 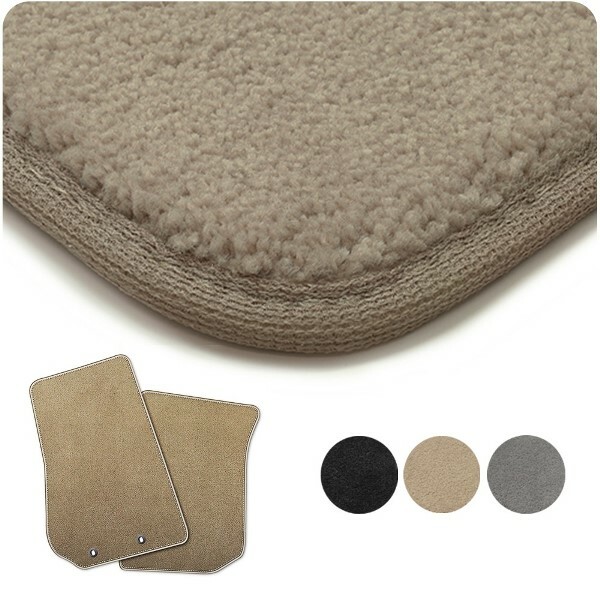 Choose a color of carpet that you love, and after it is cut into the shape of your vehicle's footwell space, Coverking will bind the outside edge with an elegant stitch. If your vehicle's original mats include grommets that position and anchor the mats, your Coverking Designer Floor Mats will as well. 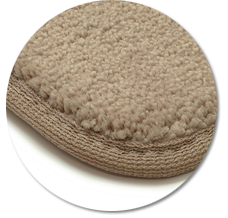 The nibbed underside of these mats ensures the mats are stationary when installed over the factory footwell carpet.